It's beyond a supercar. It's a dream car. Last summer we were introduced to the Kode 0, the latest creation from Ken Okuyama, the former Pininfarina designer who penned the Ferrari Enzo and, when heading his own design firm, the Kode 57. 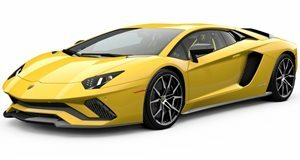 But the Lamborghini Aventador-based Kode 0 is now taking center stage on this latest episode of Jay Leno’s Garage. With its 700 hp 6.5-liter V12, the Kode 0 very much has that classic Lamborghini wedge shape first made famous by the Countach when it debuted way back in 1974. Okuyama, who worked with the Kode 0’s owner for two years designing the project, proudly admits the Countach and all of those other wedge-shaped supercars from the ‘70s served as inspiration. Of course those Lamborghini scissor doors remain in place. They just had to. Keeping the Aventador’s carbon fiber monocoque, the same lightweight material was chosen for many body panels as well. The interior is also pure Aventador, and that’s not at all a bad thing. If it ain’t broke, why fix it? But that stunning ‘70s-inspired body is all new. There’s not a bad angle to it. Perhaps Okuyama describes the car best to Leno in saying it’s not exactly a supercar, but a dream car.